Adventure touring boots have to be good at a lot of things. They have to perform protective and functional duties for a multitude of environments. 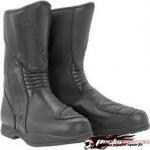 The Alpinestars Scout WP Boots are remarkably up to the task. 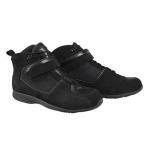 More and more apparel companies are offering riding shoes that have motorcycle specific features, but no real armor. I am not naive. I know that we don't all wear protective apparel every time we ride, but in terms of protection, more is better. I have always found that Alpinestars boots fit my foot well. Because of this, I find myself feeling comfortable ordering the Italian company's boots online with little trepidation. 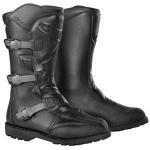 The Alpinestars Web Gore-Tex Boots are a bit of a different fit, however. 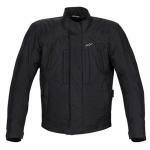 The Alpinestars Royal Drystar Textile Motorcycle Jacket is a true foul-weather friend. 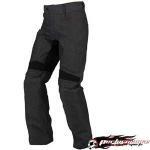 This piece of riding apparel has features that will protect in extreme conditions. It is geared toward the commuter or the full-on touring rider. 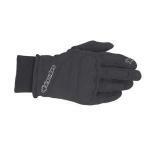 Alpinestars' C-1 Windstopper gloves caught my eye for the very reason they shouldn't have. They are surprisingly humble, coming from their otherwise ostentatious Alpinestars roots. There's nothing showy or striking about the C-1. 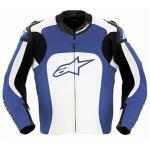 I dare say they look generic, but Alpinestars has not overlooked their function.